Back in the distant year of 1981, a flatmate of mine in Edinburgh, suggested that we kill a summer’s Sunday by ‘climbing a mountain’. With nothing else to do, we set off for God-knows-where in his banger of a car and I duly trudged along in agonised silence behind him, ill-equipped and totally unfit as we headed up Schiehallion (1083m in Perth & Kinross) – my first ever hillwalking experience. By co-incidence I recently came across the name Schiehallion when reading Bill Bryson’s ‘A short history of everything’. In 1774, the mountain had been selected by a physicist Nevil Maskelyne as an ideal one to conduct an experiment to determine the universal gravitional constant – if you hang a plumb line near a mountain the gravitational force will pull the line at a tiny but measurable angle towards its mass. All you need to do is measure the mass of the mountain and bob’s your uncle, the gravitational constant! 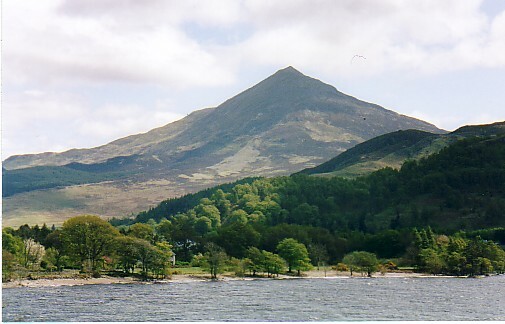 Maskelyne and a mathematician called Hutton spent months taking countless measurements of Schiehallion to determine its precise shape. But the jumble of numbers was so confusing they could make little use of them – until Hutton realised that his job would be made easier if he joined the points of equal height. When he did, he realised that he’d accidentally discovered a way of accurately mapping the landscape – contour lines. Within a few years the system was adopted as a standard among cartographers the world over and it has certainly stopped me from walking over a few cliffs over the years. Incidentally their original gravitational constant experiment was a success and was actually repeated by a group of scientists in 2005, with pretty much the same results!